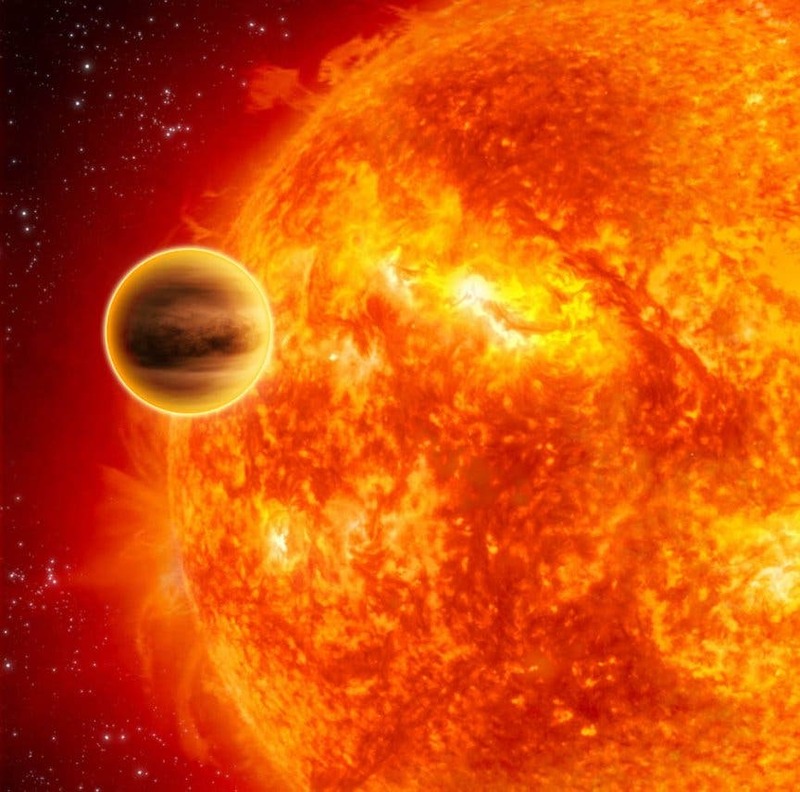 A NASA-led team of scientists determined that WASP-18b, a "hot Jupiter" located 325 light-years from Earth, has a stratosphere that's loaded with carbon monoxide, but has no signs of water. A NASA-led team has found evidence that the oversized exoplanet WASP-18b is wrapped in a smothering stratosphere loaded with carbon monoxide and devoid of water. The findings come from a new analysis of observations made by the Hubble and Spitzer space telescopes.